In its over-100 year old journey, Indian cinema has raised itself to a world class level but animation is a genre that is yet to find acceptability at home, animator and filmmaker Geetanjali Rao says. She feels Indian animation films, which are acclaimed at various international platforms, don’t find audiences in India. “I’m recognised abroad better than I am over here. Right now I’m making a feature film where I’ve a French co-producer because I couldn’t find an Indian producer. So this is the state where we all (animators) are; our work, which is quite specialised, is appreciated and trusted by people outside because they understand a new visual language of telling a story,” Rao told IANS on the sidelines of the first edition of the International Film Festival for Persons with Disabilities (IFFPwD). She said that while animated films on Indian culture and mythology are popular abroad, they lack commercial viability in India. “Indian art, culture, mythology and social problems seem very interesting to the rest of the world. So, if you have an animated film which is of a high calibre having all this, it has a huge market internationally, but within India for us to think that it has this kind of a market is not monetarily viable. “Animation films from India get better response abroad than in their own nation,” added Rao, whose short animation films like “Printed Rainbow” and “True Love Story” have been honoured at various editions of the Cannes International Film Festival. Rao, however, stated that there are ample reasons why not many animation films are made in India. 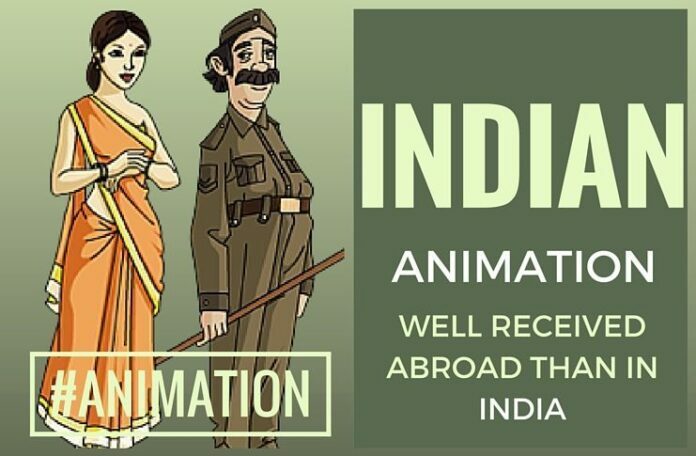 “In India we don’t have an audience which is really prepared to watch animation films. I won’t blame the audience for it as we also don’t have a long history like the US, Russia and Japan which started making animation films in the 1930s and are making more of that kind of films which are doing well commercially,” she explained. She said that in India, animation came quite late and the knowledge of the genre had to be imported. “In India, it all started in 1960 by the Films Division of India, which is actually quite late. The fact that there was no education in animation and suddenly they started a studio which creates animation means you had to import your knowledge. We did it from Walt Disney. This is why some of the styles that we do are look-alike the style of Walt Disney,” she said. “For the last 20-25 years, there has been growth in the animation industry as people like us want to make animation films, but the trust in the faith in complete animated features is very little because people go by the market, unlike, say in 1960, the government supported the parallel cinema,” she added. “Animation never received that kind of support from any place. We suddenly find ourselves competing with Bollywood which is very tough because we are asked to make that kind of money,” she said. Asked if big production banners in India show interest in producing an animation film, Rao said: “Some of the producers are, if we take them the safe way, which is children’s entertainment or animation films about superheroes.